When the general public hears you talk about Masonry, they usually have no idea what you are talking about. When the Shrine is brought up however, usually the response is, “Oh, you mean those guys in the funny hats and the tiny cars?” They are Shriners, members of the Ancient Arabic Order of the Nobles of the Mystic Shrine, or A.A.O.N.M.S. The Shrine tends to be the public face of Freemasonry today. It all started in 1870, in Manhattan. At the time, more than 3,000 men living in Manhattan were Masons. Some of these men made an effort to have lunch together as often as they could, on the second floor of the Knickerbocker Lodge. Each one of these men who attended this lunch were known as light-hearted jokesters, who talked often about starting a fraternal offshoot of Masonry who’s focus was fun and fellowship, over the emphasis on ritual of Blue Lodge. Two of the men, Walter Fleming and William Florence, decided to take action. Florence was an actor who traveled the world. During a tour in France, he had been invited to a party thrown by an Arabic diplomat. During this party, a troupe of actors put on a play, in which, the members of the audience became members of a secret society. He felt that this play would make a wonderful basis for their new fraternity. After viewing the play a few more times, he returned with his information to Fleming. Despite the name, the Shrine does not have any Arabic connection, other than the origin story. A number of Shrines that used to be referred to as “temple” or “mosque” are now shifting to using “Shrine Center” instead, to help distance themselves. Many people believe incorrectly that it has something to do with Islam. 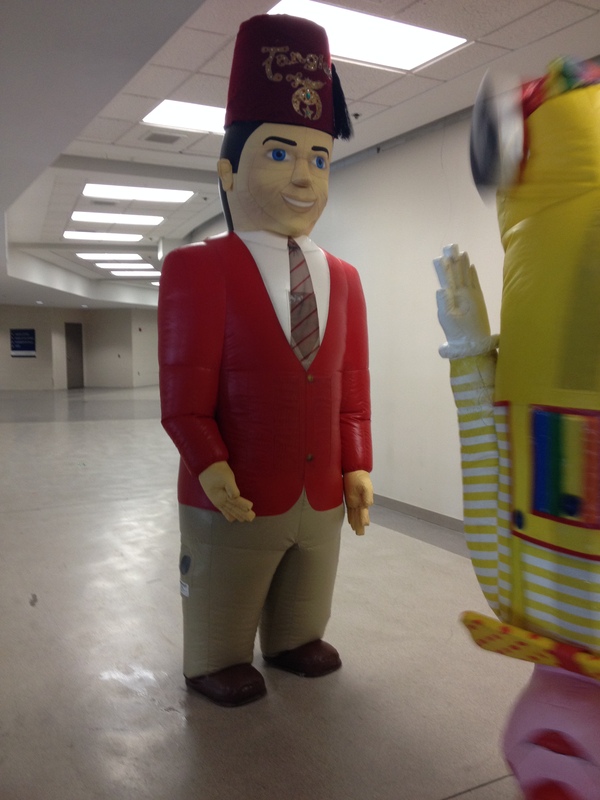 Just like Blue Lodge Masonry, Shriners only require a belief in a higher power. A lot of people are under the impression that you can simply become a Shiner, and skip the first three degrees. This I think is largely due to the marketing campaign that they use. 2B1Ask1 is very popular, and the Shrine is the only branch of Masonry that really advertises at all. In order to join the Shrine, a man must be a Master Mason in good standing. 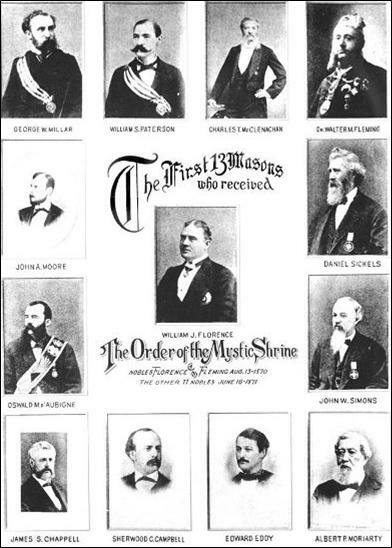 Before the year 2000, however, a Mason had to also be a member of York or Scottish Rite before he could join the Shrine. This was largely done to not only encourage the idea of work before play, but also to facilitate more membership in these groups. Unfortunately, they saw a lot of members join only to become a Shriner, and never be active in either of the Rites. There are two women only organizations associated with the Shine, the Daughters of the Nile and the Ladies’ Oriental Shrine. Both are closely tied to the Shiner’s Hospital for Children. You can read more about those organizations here. The Shriners do a lot, usually for their local community. While it is not to say that they do not have the plain, regular, boring, business meeting, their main focus is on fun, and you can see that through the work that they do. Perhaps one of the best known units (which is basically like a club within the Shrine) is the parade unit. These units may include bands, equestrian units, color guard, motorcycle units and more. The most prominent and well-known however, are the mini car units, otherwise known as the motor corps. Usually it is a requirement that a Shriner own his own mini car in order to be a part of the unit, however many Shrine Centers are starting to move away from this, in order to encourage more participation. Other well-known activities that the Shiners put on are the Shrine Circus, and the East-West Game. Something that a lot of people do not seem to connect to the Shriners, for whatever reason, is the Shrine Hospital for Children. This is a network of 22 hospitals across North America (1 in Canada, and 1 in Mexico) that sees children with orthopedic issues, burns, spinal cord injuries, and cleft lip and palate. Here’s the thing that makes it a bit different from the rest of the hospitals out there. EVERYONE that needs their services receives it, whether or not they can pay the bill. There have been some issues with that as of late, and some families have had their insurance billed, but the hospital is always sure that it is well within the families means. Those without insurance are covered 100%. The majority of the operating costs come from donations, many from Freemasons or Shriners themselves. Often a Shrine Center funnel’s its hospital donations to the closest hospital. For instance, all of our hospital donations here in Omaha fund the hospital in Minneapolis. Patients do not have to be Masons, or related to a Mason in any way. The service is there for anyone who may need it. I feel that this truly helps the Shrine earn the nickname of “The World’s Greatest Philanthropy”. The Shrine has a lot to offer, definitely a “something for everyone” kind of fraternity. There are always plenty of fun activities going on, usually with the focus being on the family, instead of just the Shrine member. Our local Shrine hosts and supports our DeMolay chapter, and it seems like there is something to do there every night of the week. If you are a Mason, or with a Mason, or even just looking to become one, and have a family, or want to attend a lot of social events, I highly recommend you look into joining the Shrine. It’s terribly hard to find a lot of information on the general history of the Shrine Circus for one major reason- there is no “Shrine Circus. Each Shrine Circus is hosted and staffed by the local Shrine, and takes on its name. So, the Tangier Shrine Circus here, is not the same as the Arab Shrine Circus in Kansas. The local Shrine Temple (or Temples), contracts a circus company to preform (most) all of the acts and additional acts are preformed by the local Shrine, who also provide the clowns. Not every Shrine has a circus, but those that do will contract a circus individually. Due to this, you will be able to find more history on your local Shrine Circus on your Shrine’s website than you will on the overall Shrine Circus’ website. There is some general known history, however. The very first Shrine Circus was in Detroit, Michigan, in 1906. It started quite small, but quickly began to grow in pace with the Shriners International at the time. By 1920, there were circuses across the country, with more being added every year. Traditionally, the circus begins in Flint, Michigan, just outside of Detroit, in January, and goes through until the week of Thanksgiving. We arrived about an hour and a half before the first show on Thursday night. I knew nothing of the Shrine Circus except my previous experience as a circus goer in another state, and that we were to help the DeMolays with “the inflatable clowns”. 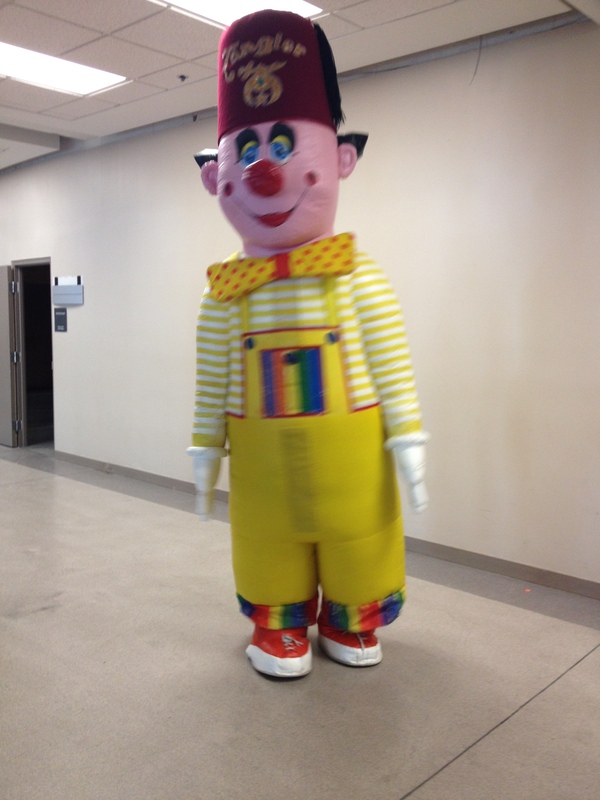 After some issues getting into the room and finding the suits, I found myself helping a young man into a giant inflatable clown, then leading him into the lobby to greet the children coming into the circus, making sure they didn’t run anyone over, or get run over. Once the circus was underway, and the suits were removed, we were all able to watch the circus from the floor. All of the acts were fairly standard circus fare- motorcycles, clown acts, a dog and pony show. During intermission we took the boys back onto the floor to wave hello to the crowd. Rinse, repeat, 7 times. A co-worker of mine came to the 1pm show on Sunday. She had asked me how long we had been there, I told her since about 1130, and would be there until at least 830 or so that evening, and we had been doing shows since Thursday. She asked me if we were getting paid for it. My reply was simple,”Of course not, its just what we do.” That is what seemed to really be the vibe between all of the circus workers, and there were a lot- people selling programs, doing security, being clowns, selling concessions, selling tokens for rides, staffing the Oasis- all related to the Shrine, in one way or another. Everyone giving up their weekend, their time, to bring a smile to someone else’s face. To be terribly honest, just being at the circus for long hours is exhausting. There’s hundreds of people everywhere, lots of kids screaming, bright lights and loud noises, and lots of hard work. The clowns have it the hardest, in my opinion, as they must be “on” most of the time. There is downtime of course, at my circus in between shows (I was so glad I had brought my DS), most could be found at the Oasis- a hidden area downstairs that acts as a (real) food cart, a bar, and a place to sit down for a moment. Everyone there is truly there for the same two reasons, however- to bring laughter to the children, and to raise money and awareness for the Shrine. There is a sense of togetherness there, knowing that everyone is working hard for the same goal. This, I think, is really the heart of the Shrine Circus this is the feeling that the older generation wants to instill in the younger, and one of the reasons why I think it is so important for the youth, like DeMolay and Rainbow to be involved. The Shrine Circus is a ton of fun, an excellent excuse to be goofy, and an incredibly worthwhile event to be involved in. If you are interested in helping out at your local circus (they always need help! 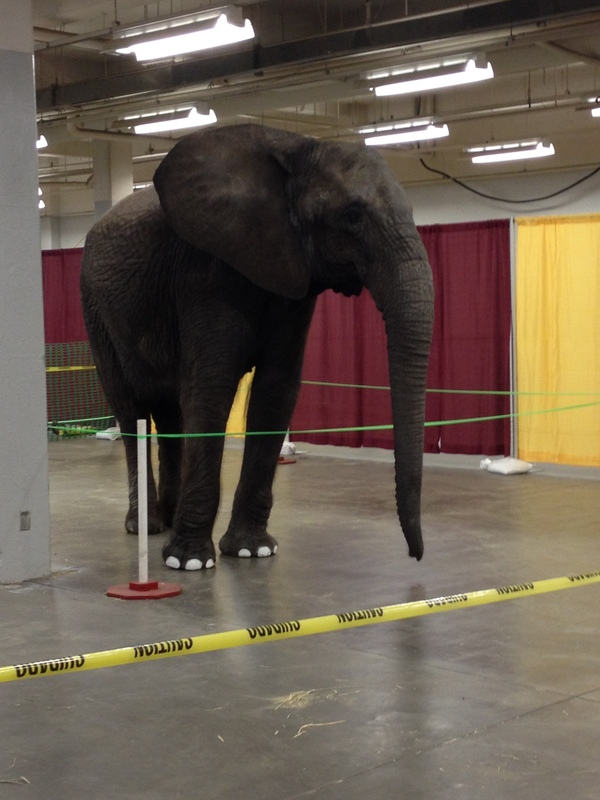 ), or would just like to know when and where your Shrine Circus is, contact your local Shrine.